An SAC Capital case is starring on Broadway, but a Chicago verdict should steal the show. 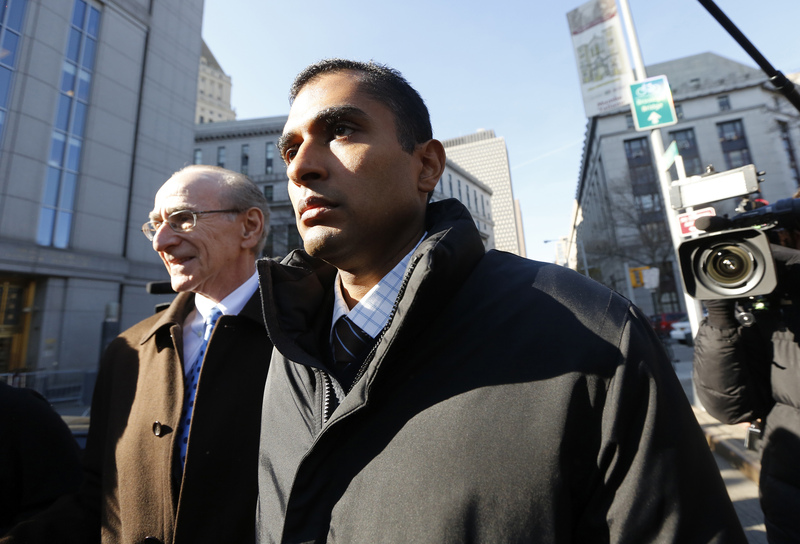 New York prosecutors added a notch to their belts with a conviction on Thursday of Mathew Martoma, a former trader at the hedge fund run by billionaire Steve Cohen. Of course, it’s also a reminder that the big boss has slipped away. And the case doesn’t help define fuzzy insider trading rules. The Illinois lawsuit accomplishes more on that front. Manhattan’s U.S. Attorney’s office is now 79-0 in insider trading prosecutions since 2009, but Martoma’s is a standout. According to the government, he illegally helped SAC reap more than $275 million in combined profit made and losses avoided, a record amount for such cases. The office immediately touted its victory in a series of tweets. The celebratory missives highlighted, however inadvertently, the failure to nab Cohen. Prosecutors extracted $1.8 billion from his hedge fund in November and he still faces a Securities and Exchange Commission lawsuit. Yet Martoma’s trades allegedly were made after consultations with Cohen and so were considered a missing link to criminal charges against him. That possibility faded when Martoma refused to cooperate. As all this played out under the media glare, an arguably more important dispute was quietly decided in Chicago. It involved Rex Steffes, a railroad employee who listened to office rumors, fielded odd financial questions and watched strange men tour train yards before concluding his company was a takeover target. He and family members bought stock and call options, made a modest killing – and were promptly sued by the SEC for illegal insider trading. Last week, a federal jury acquitted the Steffes family, something the commission acknowledged on Tuesday in a two-sentence statement. The verdict deserved considerably more attention. Far more common than cases like Martoma’s are those like the one involving Steffes, where savvy research or even educated guesses result in a lucrative transaction. Insider trading law doesn’t clearly distinguish between the two. By signaling that diligent legwork won’t necessarily lead to jail, the jury in Chicago helped clarify the law. It’s not the kind of ruling that can compete with Cohen and the bright lights of Broadway, but for attorneys and judges it’s a more insightful drama. A U.S. District Court jury in New York on Feb. 6 convicted former SAC Capital Advisors portfolio manager Mathew Martoma of insider trading and conspiracy charges. Martoma, 39, was the eighth current or former employee of billionaire Steven Cohen’s hedge fund to be found guilty of insider trading. Prosecutors claim his illegal scheme netted SAC $275 million. The hedge fund manager and three affiliates agreed on Nov. 4 to settle criminal charges of wire fraud and insider trading by pleading guilty and paying a $1.8 billion penalty. On Jan. 27, a federal jury in Chicago declined to find Rex Steffes and his three sons liable for insider trading. Steffes was accused of illegally tipping family members about an impending acquisition of his employer and then trading on the information.